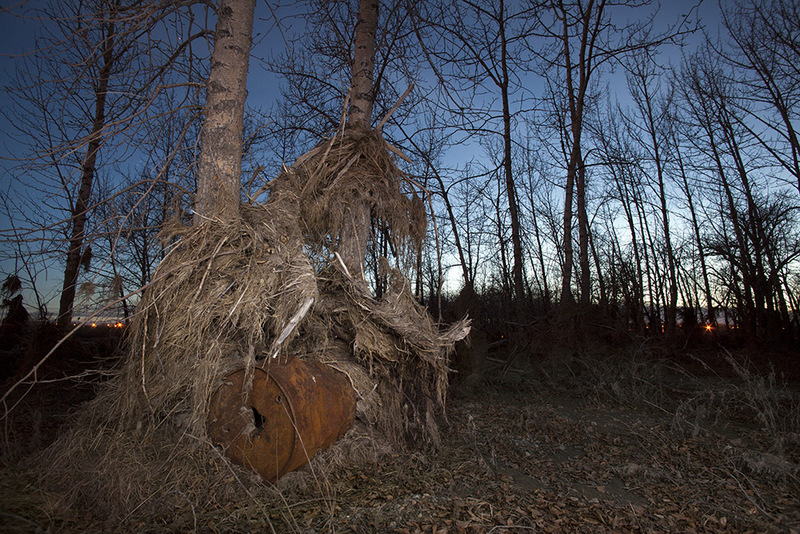 A RUSTY OLD BARREL TRAPPED BY FLOOD DEBRIS ON THE BANKS OF THE BOW RIVER. The sky was a dark leaden grey Monday and it rained heavily Tuesday night. There is more rain ahead with heaviest amounts forecast for the Oldman River basin south of here. Southern Alberta is holding it’s collective breath. People are nervous, with memories of the massive destruction of June 2013 still raw. Friday Swerve magazine published one of my post-flood pictures (above) last week. Here are some of the others I made in the last couple of months. These pictures show the damage the flood did to some of our cherished natural areas – the Bow and Elbow river valleys – and the power moving water has over both natural places and man-made things. 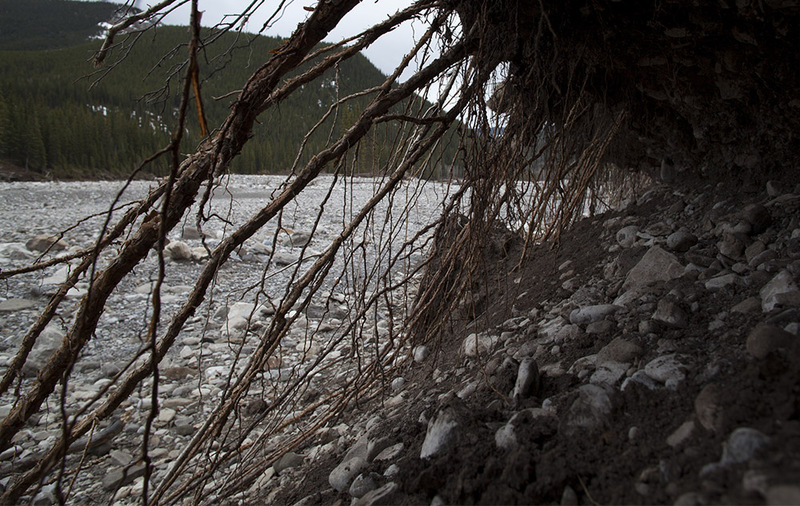 TREE ROOTS EXPOSED BY EROSION AT ELBOW FALLS. 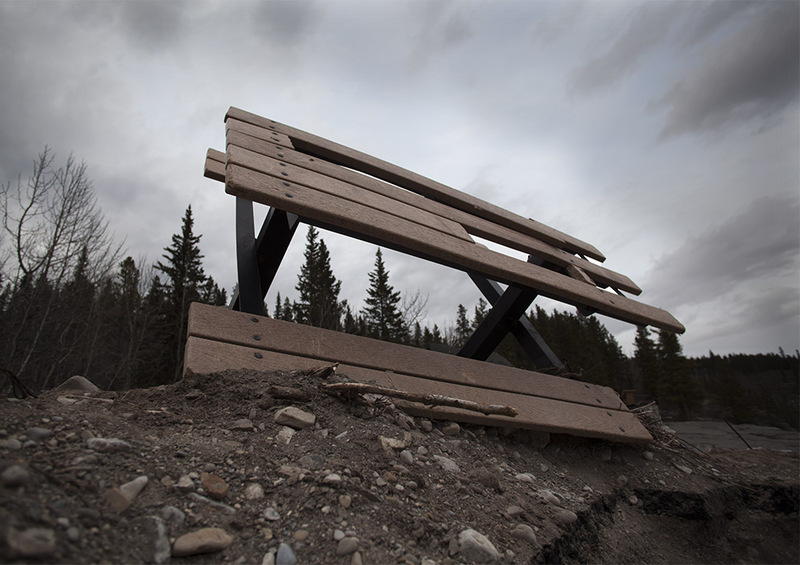 A DAMAGED PICNIC TABLE AT ELBOW FALLS. A PANORAMIC VIEW OF THE ELBOW RIVER AT ALLEN BILL POND.